Attorney William E. Bubsey is admitted to practice law in the states of Georgia and Florida. He is also a Florida Supreme Court certified mediator regarding circuit civil, county civil, and family law matters. My lawyer has told me not to talk to anyone about my case, not to answer questions, and not to reply to accusations. Call my lawyer if you want to ask me questions, search me or my property, do tests, do any lineups, or do any other I.D. procedures. I do not agree to any of these things without my lawyer present and I do not want to waive any of my constitutional rights. 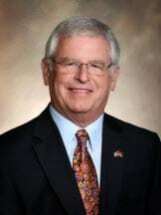 William E. Bubsey, Attorney at Law, located in Tallahassee, Florida, represents clients throughout Florida and Georgia.